Jersey's Team Jets will play in Premier League Two for the first time after victory in the play-offs. 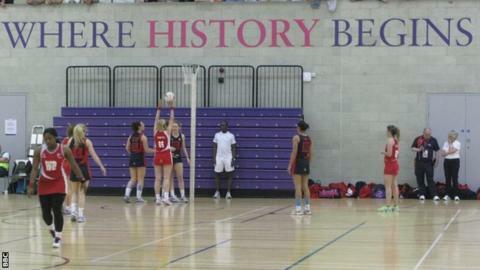 Jets lost to Kent but bounced back with wins over Dominoes and Leyton to clinch back-to-back promotions. The Leyton game was to be the most dramatic with Jets behind in every quarter bar the last. A fire alarm with five minutes remaining caused the whole sports hall to be evacuated and when play resumed, Jets ran out 37-36 winners. The weekend had started badly for the island-based side with a surprise 40-32 defeat to Kent County, a team they had beaten twice in the regular Premier League Three campaign. But the islanders returned rejuvenated on Saturday afternoon and secured a convincing 44-29 win over Dominoes, who will now swap places with them in the leagues next season. The Leyton game though really was winner-takes-all. Team Jets were behind by four points in the first quarter but by the time the second finished, they had narrowed the gap to just one and began the third with three consecutive goals to move them into the lead for the first time in match. Leyton were a physical side, particularly in defence, but it is the fire alarm in the final quarter which many will remember the match for. With Jets behind by just one goal but with a penalty going their way, alarm bells sounded, lights flashed and players, coaches, and spectators were led outside to the car park. Play was held up by half an hour and when it resumed, with just five minutes left to play, Jets made their advantage count. Two unanswered goals moved them into the lead and though Leyton fought back, Jets closed the game out in the final stages as Leyton in particular began to tire. It will be the first time the Jersey side have played in Premier League Two and it is a second promotion in as many seasons following victory in the play-offs last year. Fellow Premier League Three sides Ryland and Kent will also move up with them for next season, with the new campaign set to begin in little over four months' time.